We celebrated our 500th batch by brewing an Imperial IPA. An IPA With more of everything! It’s rich, heavy on the hops and has an almost overwhelming mouth feel. It’s Extreme fruityness is a result of huge amounts of Nelson Sauvin hops from New Zealand added during fermentation. We chose to call this a tropical stout because we have added tropical spices like vanilla beans and liquorice. This beer has spent two years on Aquavit barrels from Agder Brenneri. The flavourful and aromatic sugars have also added further to the spicy and boozy feel of this stout. Aromas from aquavit, bourbon vanilla and liquorice. Even at 12% ABV this spiced stout is easy drinkable. Our take on an American Pale Ale is a rather modern Pale Ale. 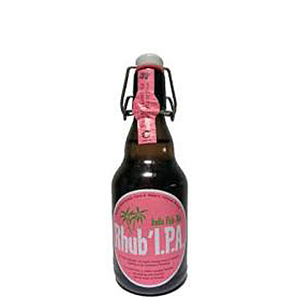 The taste is full of fruity tropical flavours like mango, papaya, pinapple and passion fruit. It has a gentle bitter after taste and is quite light and refreshing on the palate. Our Asian Pale Ale is a dry and refreshing beer. We add a generous amount of fresh lemongrass at the last stage of fermentation which result in a crisp and tangy aroma. This beer is a great thirst quencher as well as the perfect companion to asian food, salads and lighter meat dishes. A few selected barrels containing awesome imperial stouts were blended to create this massive beer. Aged on vanilla and cinnamon in whisky- and cognac barrels. No wonder it gives you the complete range on the palate: coffee, vanilla, cinnamon, liqourish, blackcurrant, dried fruits and leather. A mighty quadrupel brewed with Mallaskoski and Põhjala. We added raisins in the brewing process and aged the beer in fresh bourbon barrels for four months. A rich taste of marzipan, raisins, caramel and wood. Try it with dried, salted or cured meat, or a well matured cheese. We really enjoy brewing with friends. Die Bayerische Staatsbrauerei Weihenstephan have been our friends for several years, but we never got together to brew before now. Weihenstephan is the world’s oldest brewery (year 1040) and are located in Freising, south Germany. Hence we had to brew a wheat beer. We chose to brew a rich wheat beer with just the right amount of darker malts to hit the colour amber (Bernstein in German). Our ”lawn mower beer” as it’s the perfect thirst quencher on a hot summer’s day. Belgian yeast drives this light and fruity beer giving it hints of citrus and banana. Our Blonde is a great companion to lighter meals and seafood. A dark brown English Ale where classic malts meet the spiced bitterness from modern hops. Brown Ales have been around since the late 1600s and is concidered one of the classic British beer styles. The perfect companion to your favorite pub grub - burgers, pizza, pies, stews and grilled meat dishes. This smooth and smokey Imperial Stout is brewed in collaboration with Denali Brewing Co. The chaga mushroom is loaded with health benefits. It actually has one of the highest ORAC scores of any food! So why is this a good thing? ORAC stands for “Oxygen Radical Absorbent Capacity.” The higher the ORAC value, the better a food’s ability to protect the body from disease-causing free radicals. In a 12% beer these health benefits are obviously highly questionable. Hops is the spice of beer and we love hops! This is a hop driven sessionable beer in every possible way, but we could never decide on which hops to use. So, we ended up using thirteen different hops from all over the world: New Zealand, England, The Czec Republic, USA, Germany and Australia. Hence the name. Goes well with pizza, tacos and burgers. A fog has descended upon our IPAs turning them into hop bombs with a murky appearance. But fear not! These beers are sweet and fruity and are called by many names – NEIPAs, Vermont style IPAs or Juicy IPAs. We like to keep things simple, like beer. So we call them like we see them – Hazy IPAs. Each year we pay homage to the Norwegian homebrewers scene by brewing the winning beer from the National Championship in large scale. This year’s winning brew is Higland Diet, a Scotish Mild Ale composed by avid homebrewer and academic – Andreas Högfeldt. This is a creamy malt driven beer which caters to the trend of rich low ABV brews. Slàinte! Goes well with meat dishes and pub grub. This beer was first brewed as a collab with Nørrebro Brygghus and it’s legendary Head Brewer Anders Kissmeyer. Nørrebro named it’s Version ”Double Knot Brown”. 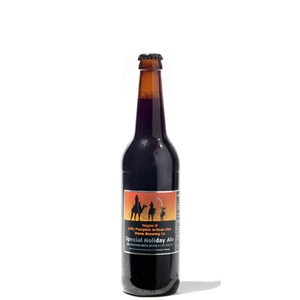 Our Imperial Brown Ale is a well balanced beer with distinct flavours from dark flavourful malts and a hint of light bitter hops. It’s the perfect beer to matured cheese. We’re proud of the fact that other breweries use our IPA as a reference when creating their own. Our IPA is on all beer lover’s bucket lists and is in many ways ”the beer that made Nøgne Ø” (it’s a long story that we’d love to tell you). This is a robust and mighty IPA that goes great with rich foods. We brew Kriek of Telemark once a year, when the cherries are picked. This fruity and sour ale has a prominent taste of fresh cherries. The colour speaks for itself; bright red and inviting. We recommend to have this beer with a good cheese platter. A Flemish red ale fermented on stainless steel vessels for two years, using local wild yeast and bacterias. Then a further year maturation on red wine barrels. A sour, funky and complex ale with aromas of acidic berries, balsamico and stable (!). Taste of red berries, balsamico, grains and oak. Its dry character makes it a good companion to aged cheese. This was the first beer we ever made and it’s a modern classic. Our Pale Ale is easy to fall in love with, cause what’s not to like? Fruity aroma, balanced bitterness and a citrusy taste. Great along with your favourite American dishes but maybe best alone. No other Norwegian beer has won more international prizes than our Porter. We always include it in our tastings and it has turned many a ”lager lover” on to craft beer. It has a silky smooth mouthfeel with hints of coffee and chocholate. Good with classic stews, but mindblowing with dark chocolate! A beer for all seasons. Our Saison is a crisp and refreshing ale that works well as a thirst quencher in the summer months. This ale pairs very well with seafood or white meat. Our Session IPA is a light ale with an exciting taste profile. We have adde generous amounts of hops, but this is still not a very bitter beer. This is because we have added loads of hops at the last stages of brewing and fermentation. Serve with barbeque. Non-alcoholic but still a full flavoured beer. Basically we’ve added freshly squeezed lime juice to our Blonde and dry hopped using lime zest. The result is an aromatic beer with the sweet taste of summer. 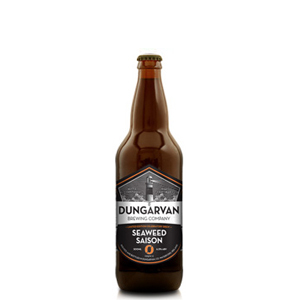 The Perfect thirst quencher and also great with seafood, salads and light dishes. The Craic is also a Blackberry Porter from Nøgne Ø. Heavy, pitch black and spiced stout. Aged in fresh bourbon whiskey barrels (Jim Bean, Jack Daniels and Wild Turkey). Lots of salty, tart, liqourish, vanilla, ammonia and roasted coffee flavours. It´s dry character makes it a good companion to aged cheese. ”Tripel” is a term used to describe a Belgian style strong pale ale. And Nøgne Ø’s Tiger Triple is definitely a strong Belgian style pale ale. This is a malt and yeast driven beer which is extremely smooth and easy to drink. But don’t let it’s first impression fool you. With 9% ABV this is a hard hitting ”tiger”. Enjoy in contemplation or with mature cheeses or seafood. This is a malty brew with a complex taste of red berries, chocolate, cocoa, dried fruits and caramel. The spicy touch is a result of the Belgian yeast we have used to ferment this beer. Low on bitterness and rich in flavour. Should pair well with BBQ and other meat dishes. The recipe for Two Captains was written by airline captain and passionate homebrewer Jan Halvor Fjeld. Nøgne Ø’s head brewer at that time was also a pilot, hence the name. Composed as a homage to Russian River’s Pliny the Elder, but considered by many as superior to it’s inspiration. Try it and judge for yourself. Norway’s most selling DIPA. Our collaboration brew with Basqueland Brewing Project. In this mighty imperial stout we added Espelette chilis. This is a rather mild type of chili that fits this dark ale perfectly. Perfect on its own. A light ale fermented solely in red wine and armagnac barrels over a period of four years! Bone dry, balanced, but with a rich mouth feel. The aroma contains apricot, citrus, grass, malt and grape skins. In the taste you will find sour apricot, grapes, grass, umami and vinegar. Probably our wildest brew so far. Nøgne Ø’s Wit is brewed according to Belgian protocol using wheat, coriander seeds and orange peel. It is light and refreshing. Great as a thirst quencher and with seafood. We always steam mussels in our Wit and eat them with classic belgian condiments - mayo and fries. Batch #1-232 were brewed at Bergermoen. Batch #233 (Pale Ale) was the first batch brewed at Gamle Rygene Kraftstasjon, February 18. 2006. Our brewers love to create new beers. These are often one-offs or limited edition brews. In this section you will also find beers that used to be in our standard range. First brewed October 25. 2012. Batch #879. One-time brew. First brewed December 17. 2013. Batch #1094. One-time brew. First brewed September 19. 2003. Batch #3. Discontinued 2018. First brewed May 13. 2006. Batch #243. One-time brew. First brewed October 31. 2007. Batch #324. One-time brew. First brewed June 30. 2008. Batch #372. One-time brew. First brewed August 22. 2012. Batch #858. One-time brew. First brewed November 01. 2012. Batch #882. One-time brew. First brewed June 28. 2013. Batch #992. First brewed January 16. 2012. Batch #751. One-time brew. First brewed August 15. 2012. Batch #856. First brewed October 06. 2003. Batch #33. First brewed December 18. 2013. Batch #1095. One-time brew. First brewed March 09. 2012. Batch #773. First brewed June 21. 2010. Batch #496/503. First brewed February 28. 2011. Batch #586B. One-time brew. First brewed February 19. 2013. Batch #926. One-time brew. First brewed March 08. 2010. Batch #488. Discontinued 2011. First brewed June 19. 2013. Batch #986. One-time brew. First brewed April 04. 2013. Batch #949. One-time brew. First brewed June 04. 2009. Batch #430. One-time brew. First brewed August 31. 2010. Batch #534. First brewed December 08. 2012. Batch #898. One-time brew. Brewed with Kristianiastudentenes Haandbryggerlaug. First brewed December 06. 2012. Batch #760. One-time brew. First brewed December 21. 2008. Batch #400. Seasonal/occasional. First brewed February 20. 2012. Batch #765. One-time brew. First brewed March 12. 2012. Batch #774A. One-time brew. First brewed August 09. 2004. Batch #98. Discontinued 2016. First brewed August 26. 2003. Batch #1019. On a cold, windy and rainy day in November 2010 we visited BrewDog together with world famous beer merchant Mikkeller. Our plan was to make a beer, which would be close to an interpolation between our individual brews Tokyo, Black and Dark Horizon. This beer should in turn be brewed by us and also for Mikkeller. It was called Black Tokyo Horizon.